I always love Mascara because this item can help to enhance my makeup by lengthening and thickening my short and sparse eye lashes. That is why I am always on the lookout for a smudge proof mascara with a good defining lashes effect. This mascara boasts an "Artificial Water Polymer", not actual water, which allows for a liquid-based film mascara with low-moisture content, preventing eyelash droop for eyelashes that stay curled upwards for longer. New formulation, by using high-solidity natural resins and Artificial Water Polymers,.The mascara’s low moisture content helps keep lashes curled upwards, and prevents drooping. 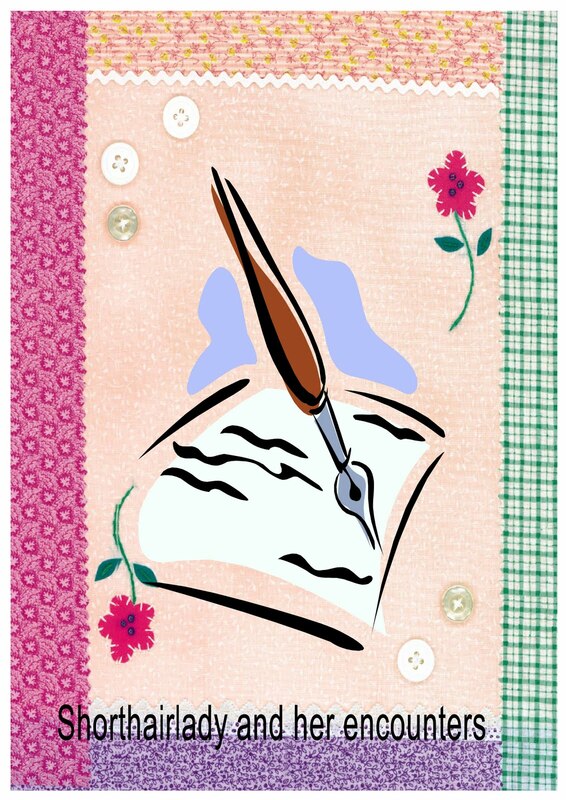 • It has unique, proprietary “Keep Style Brush”. It is composed of both long and short hairs. This varied length brush catches plenty of film liquid, allowing it to bind firmly to eyelashes with just a single coating, brushing and coating lashes in one motion. Prevents smudging all day long, eliminating the appearance of "Panda-eyes" as it contains Binding Polymer, which effectively binds the film while maintaining a smooth, fine surface. • It washes off easily with warm water. The adhesive strength of the film is lasting, but swells when in contact with warm water, creating a coat. This film coat can be washed off easily with warm water. This means they slide off your lashes, with minimal damage to the lashes or their shape. This is not the first time that I have tried and used Dejavu Mascara before. And, it remains one of my favourite brands of mascaras as it contains fibers which can lengthen my lashes instantly after application. Since I have very short lashes, I have to apply more coats of application of mascara before I can really see my lashes curl up. And, if the mascara tends to be “very messy” to handle, chances are that I will end up with Panda eyes. However, I do not experience such issue with this Mascara. Even if I have closed my eyes after applying this mascara, I do not experience bits and pieces of the mascara and the fibers lying around my lower eyelids area. As mentioned in the introduction above, I really have stubborn and straight eye lashes. Even though I can use a curler to curl my lashes, a good thickening mascara is what I need to keep them in tact in a upward direction throughout the day. Think of it in this way: A good thickening mascara acts like a seal to help to support the curl, so that the lashes will not fall flat again. After applying the Keep Style Mascara, I do find that my eye lashes not only curls up effectively but it has also thickens and increases in length. Therefore, I will definitely recommend this product to people with short lashes who prefer to use a smudge proof fiber mascara. 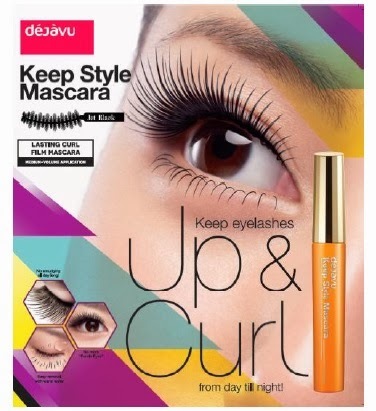 For your information, the Dejavu Keep Style Mascara is a film based mascara which is easily removed with warm water. Unlike the traditional wax based mascara, it is water soluble and can be washes away easily without causing the eye lashes to fall off easily. Frankly speaking, I do like the fact that the mascara can be washed off easily but it I find it a bit troublesome to get warm water all the time to wash off the mascara. Nevertheless, I still like this mascara for its effective ability in curling up my lashes. Lastly, please like Dejavu Facebook Page: https://www.facebook.com/dejavu.singapore for more Promotions and Products Updates.